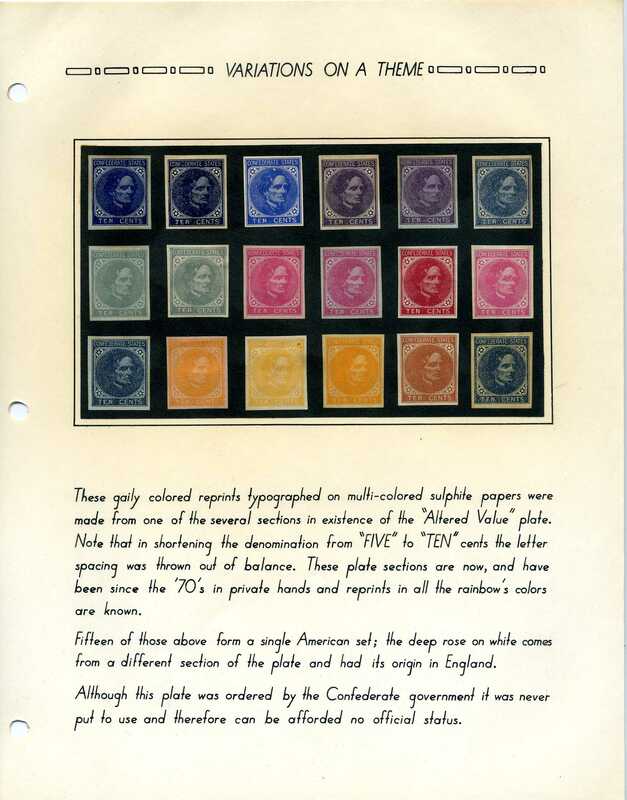 of the "T-E-N" and "Frame Line" issues are shown with tips how to detect them, as well as other addressed difficulties. 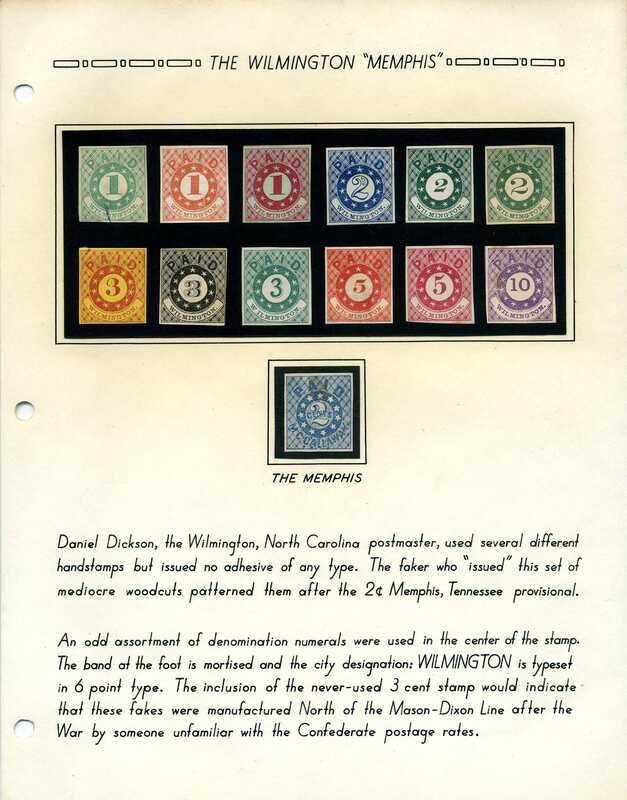 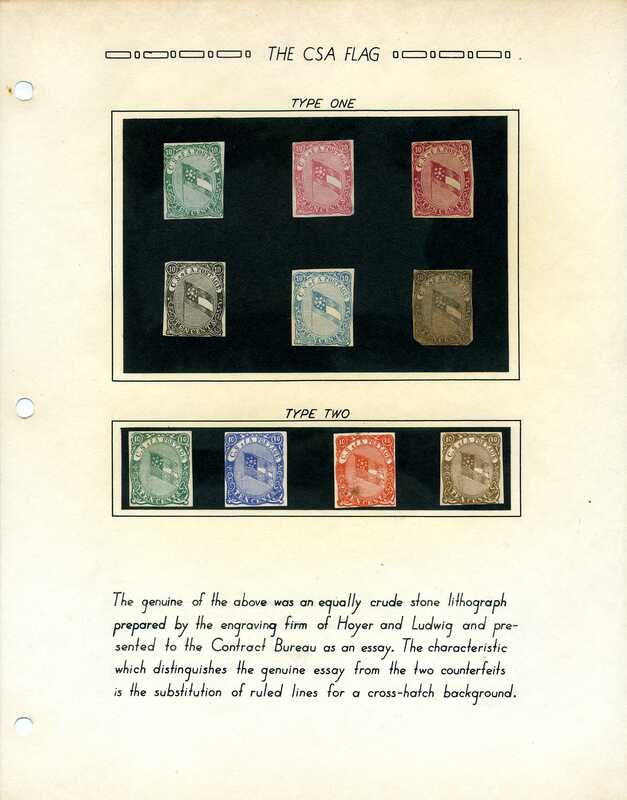 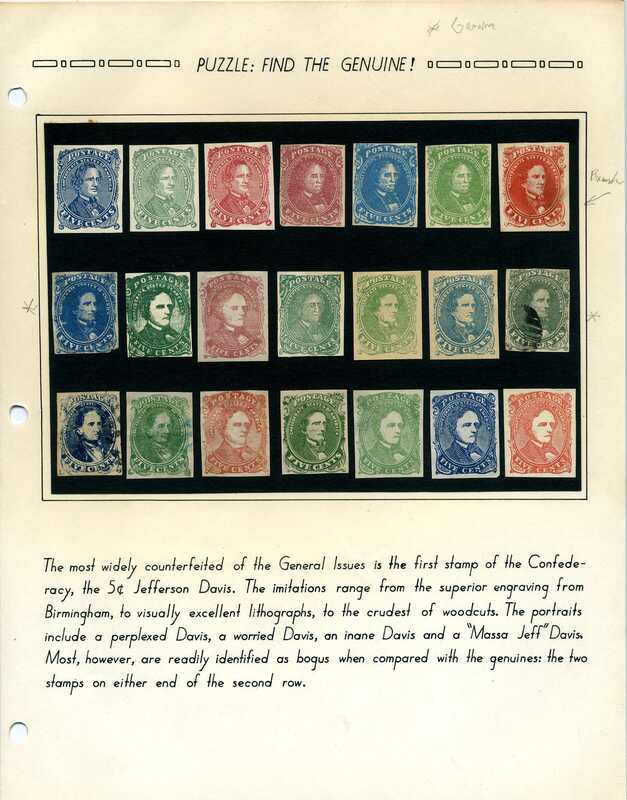 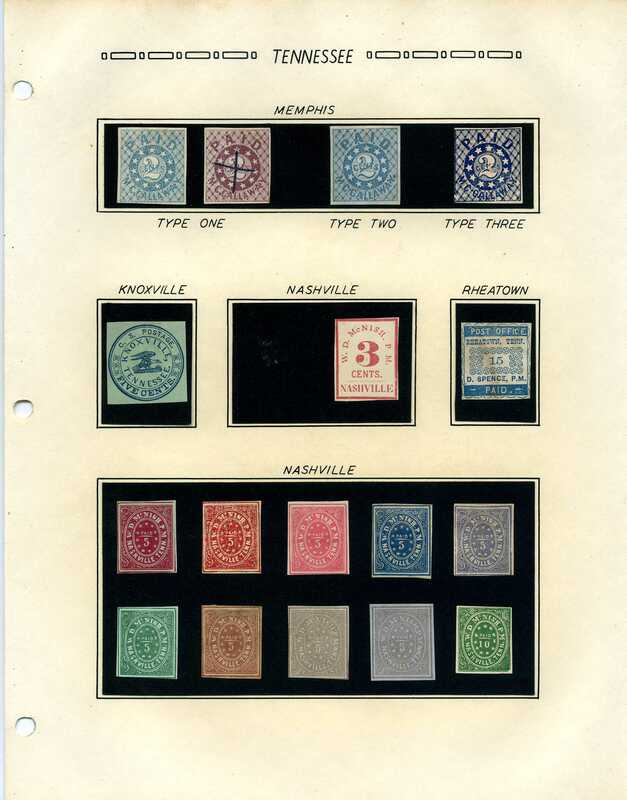 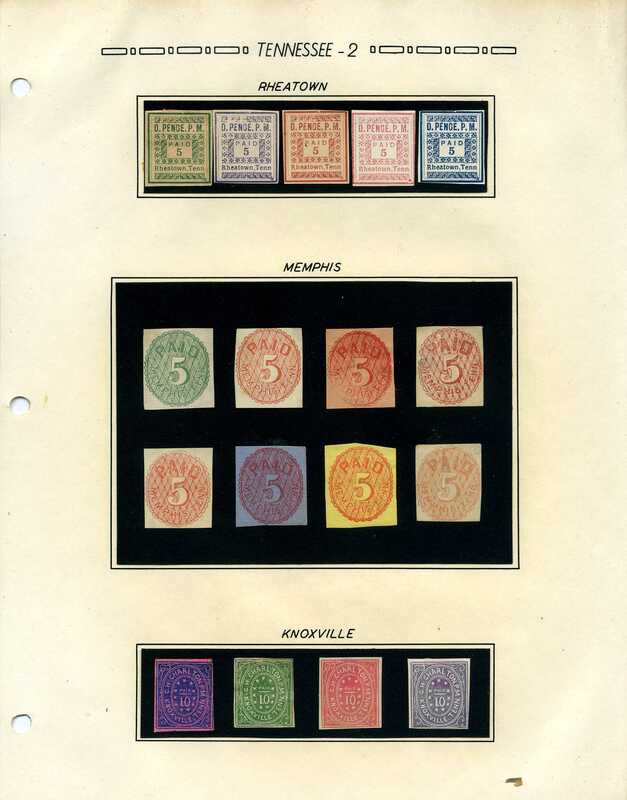 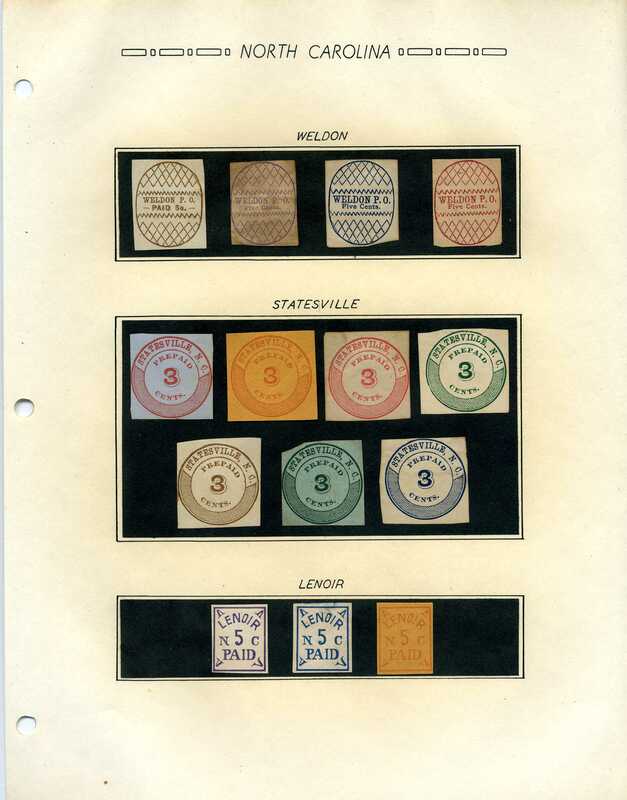 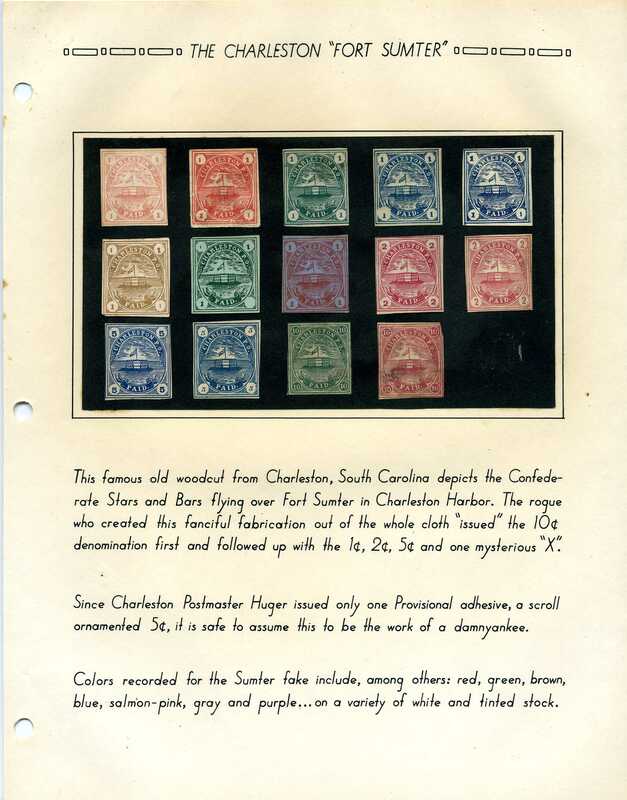 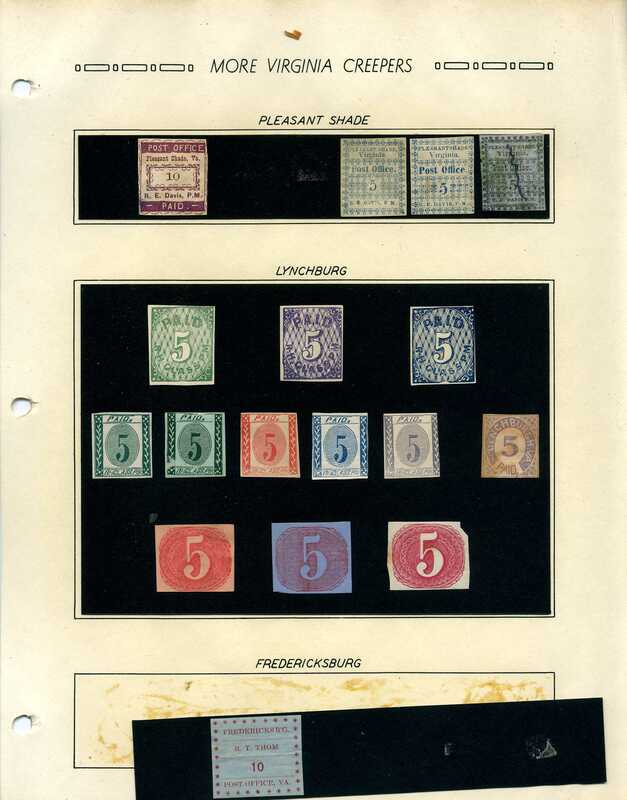 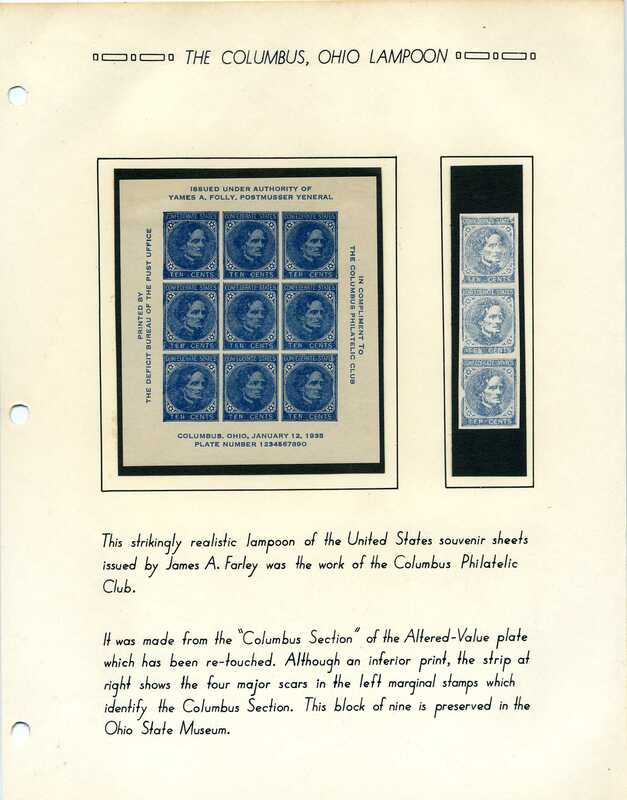 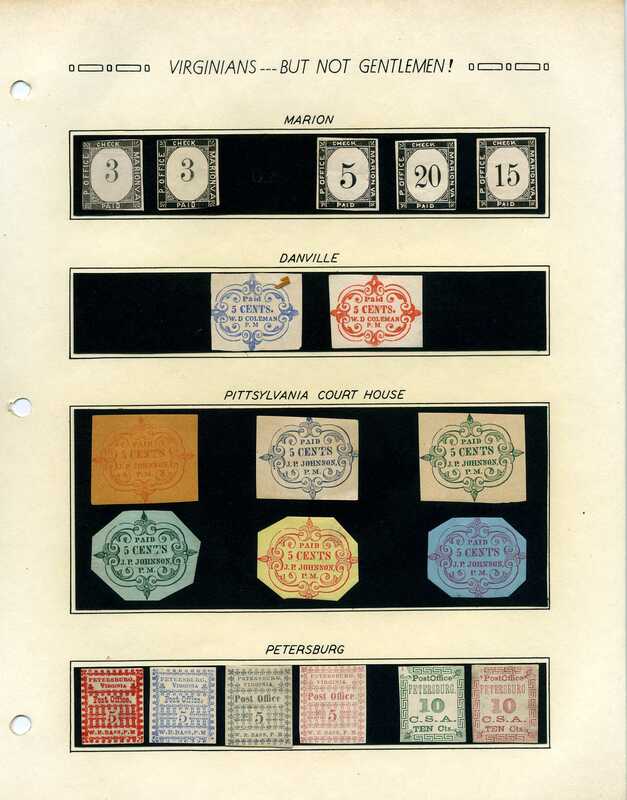 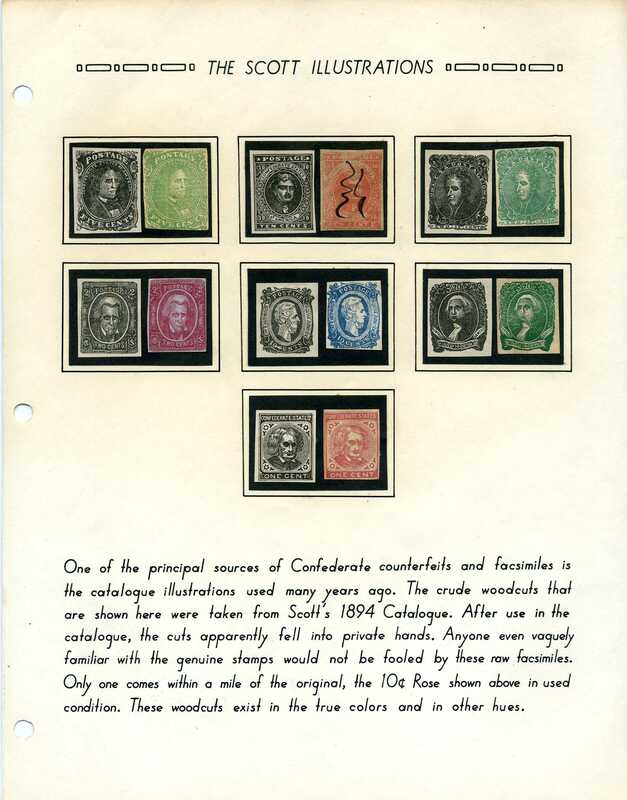 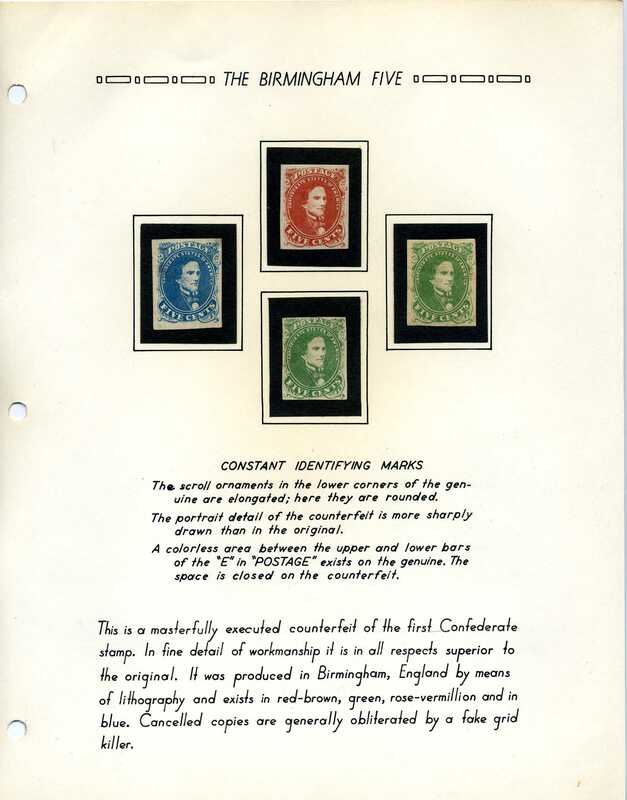 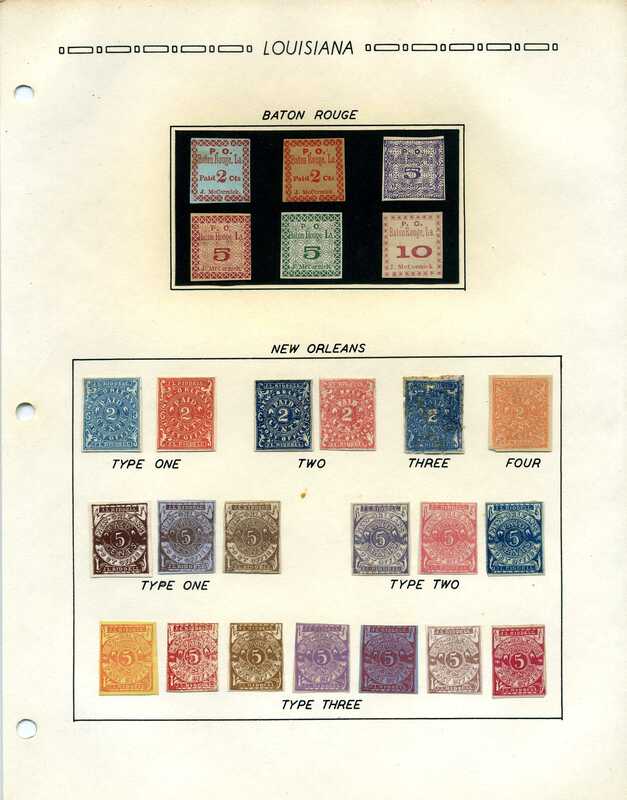 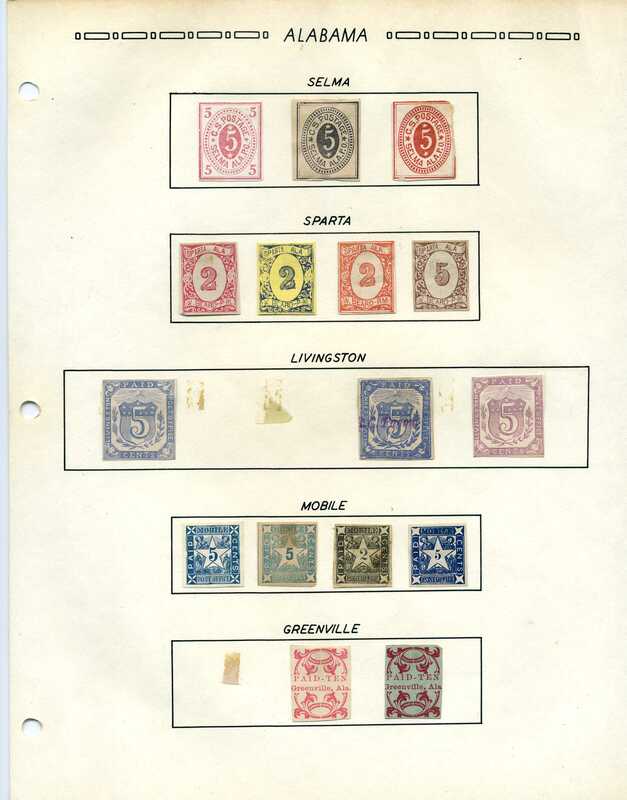 Provenance - tracing the "philatelic chain of custody" of Confederate stamps and covers. 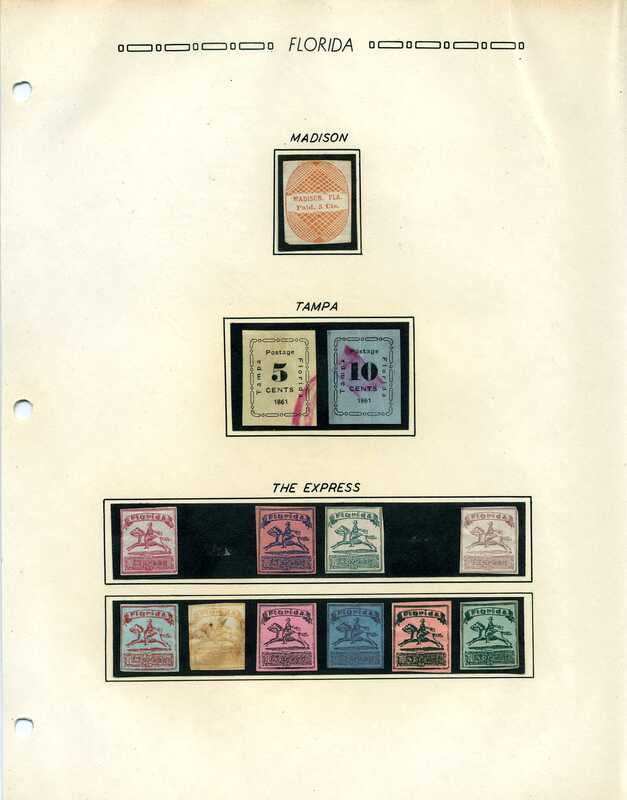 Another helpful Kaufmann original. 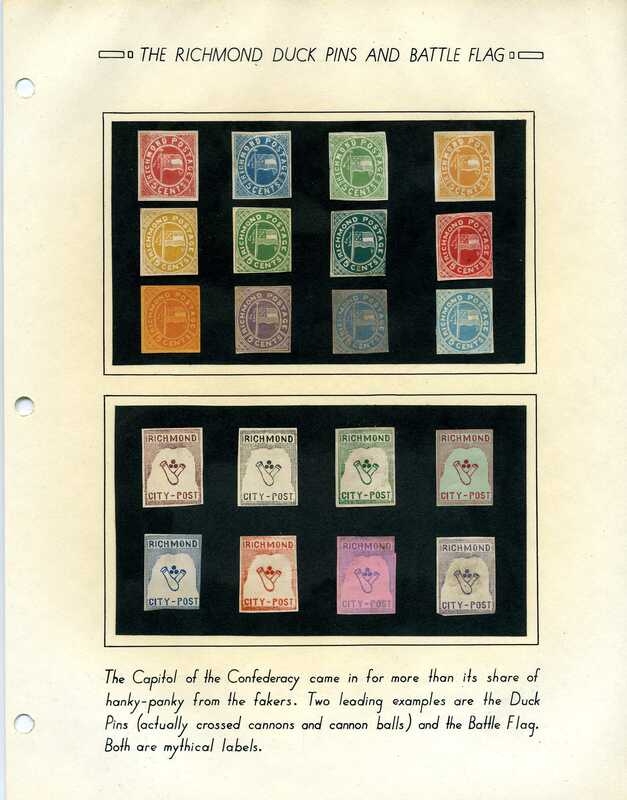 eBay Rogues Gallery - Caveat Emptor! 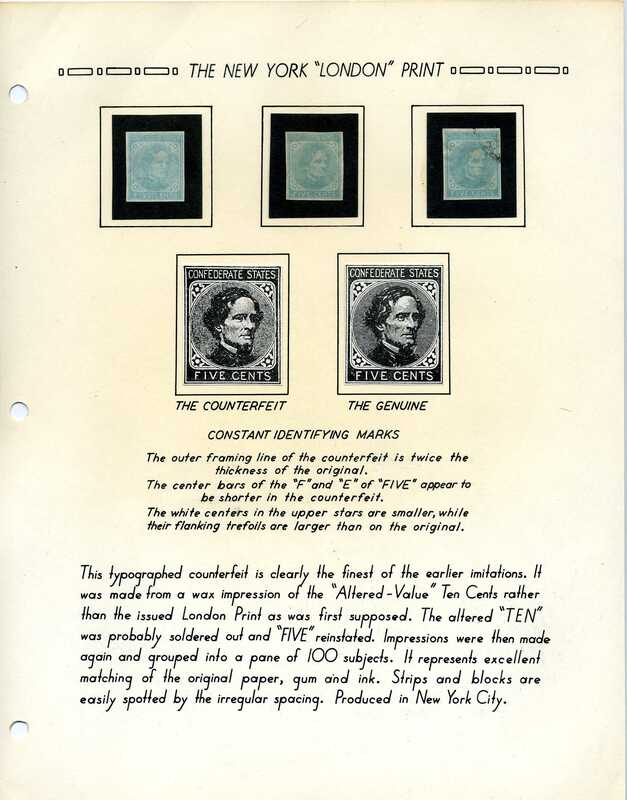 Buyer Beware! 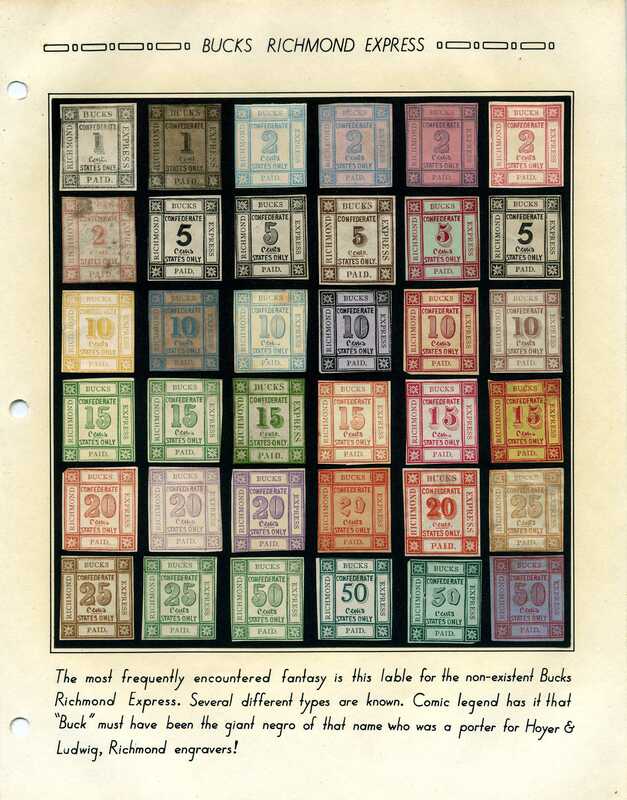 An area that drives most serious students absolutely crazy. 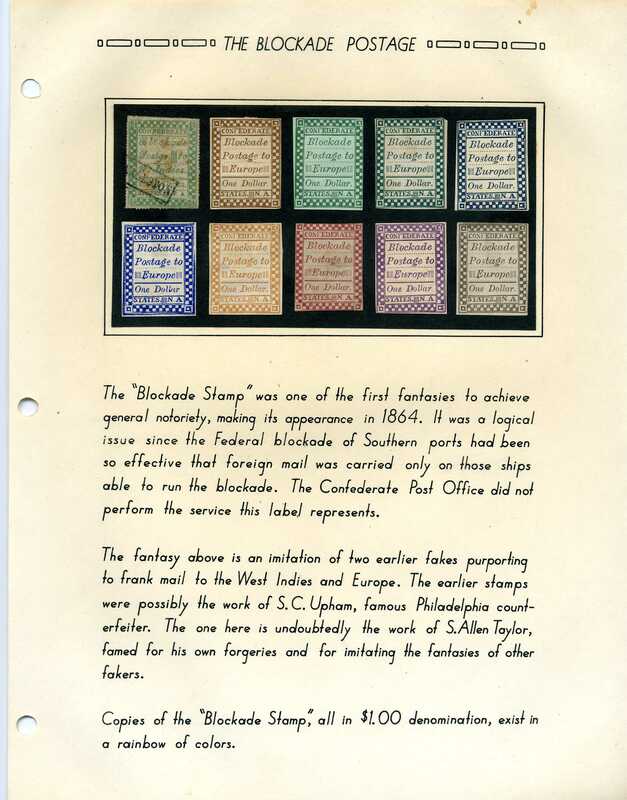 The linked pages below are scans of the Confederate fake collection of David Kent that was sold at auction in April 2008. 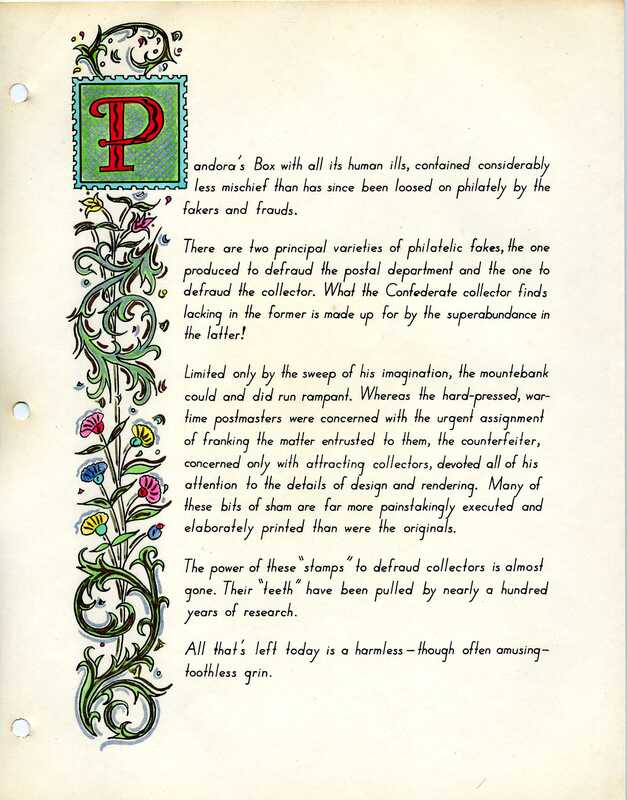 The pages, scanned in high resolution, are reproduced here with the permission of the new owner. 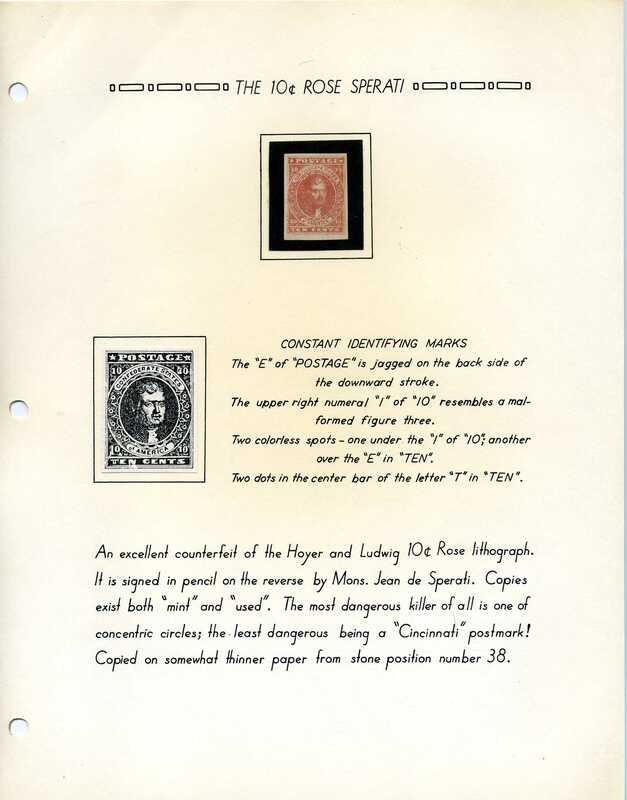 They are a ready-made explanation of the most commonly encountered gallery of "curious things." 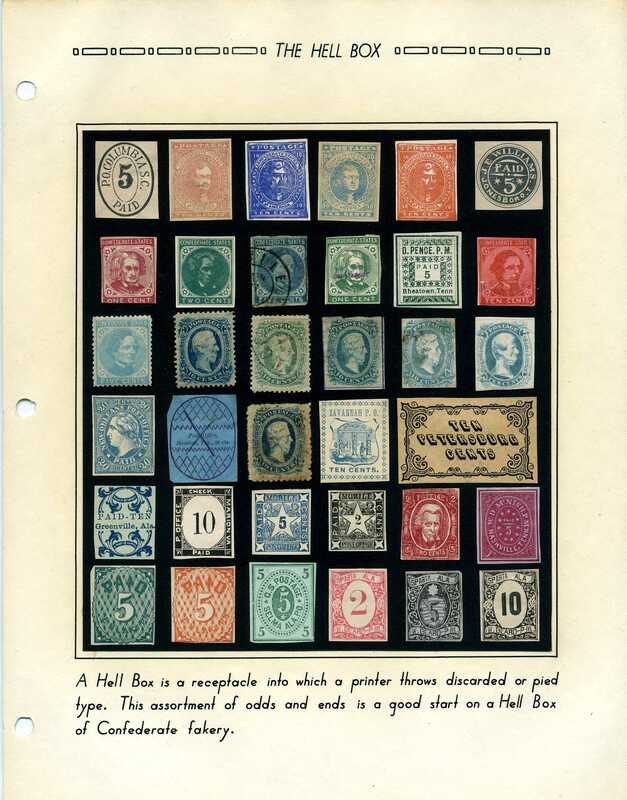 Use the zoom feature of your web browser to enlarge / see detail. 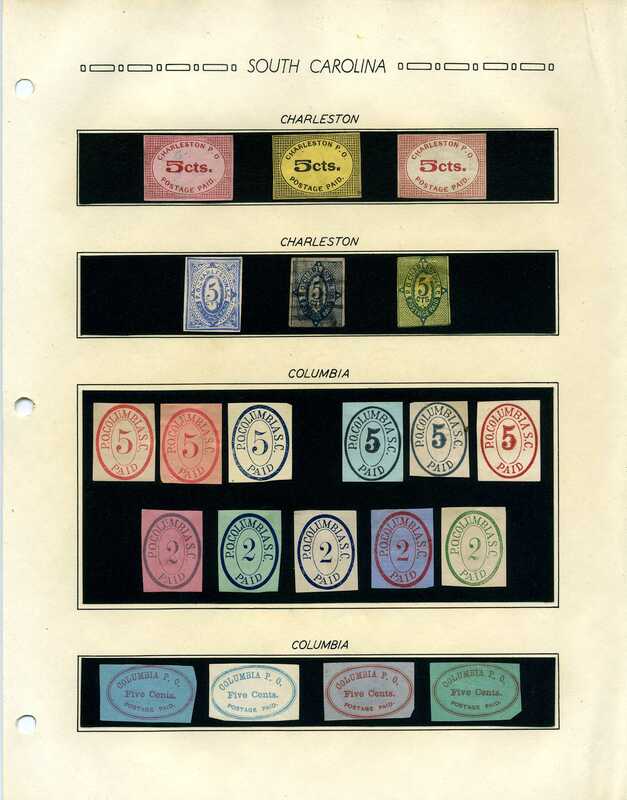 Altered Plates - never put into use - a long history on these, details forthcoming in "Trouble Spots"
New York counterfeit - one of the most commonly seen - often on eBay and in virtually every dealer bourse by non-specialist dealers as genuine CSA 6. 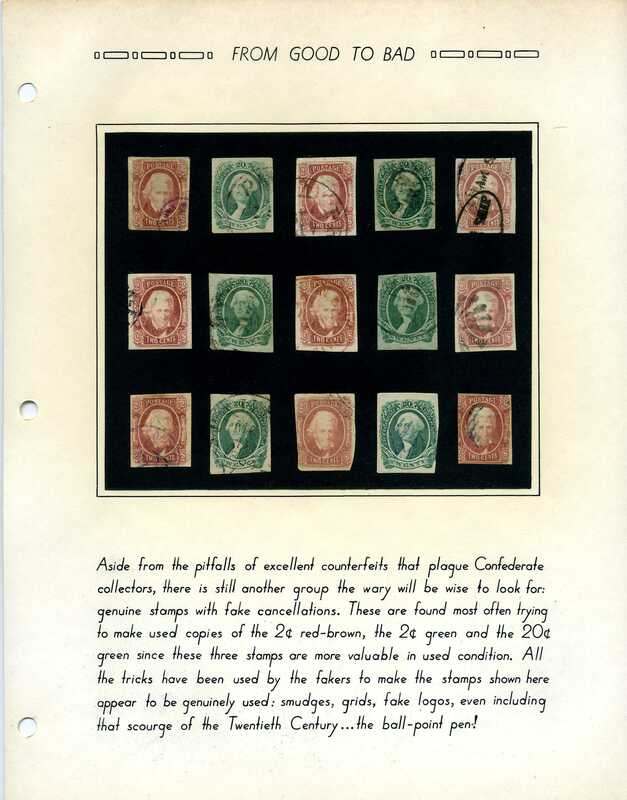 This is also addressed in the "Trouble Spots" section. 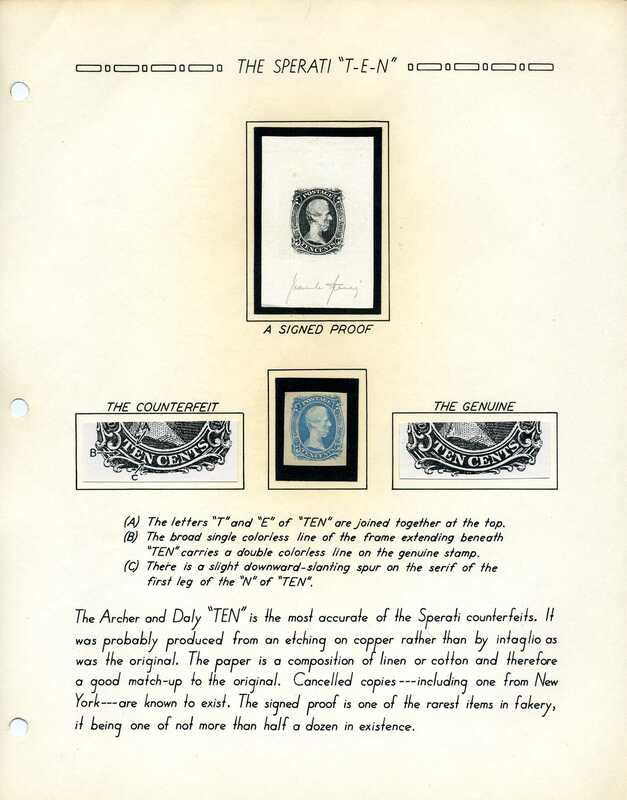 Sperati "T-E-N" forgery - dangerous. 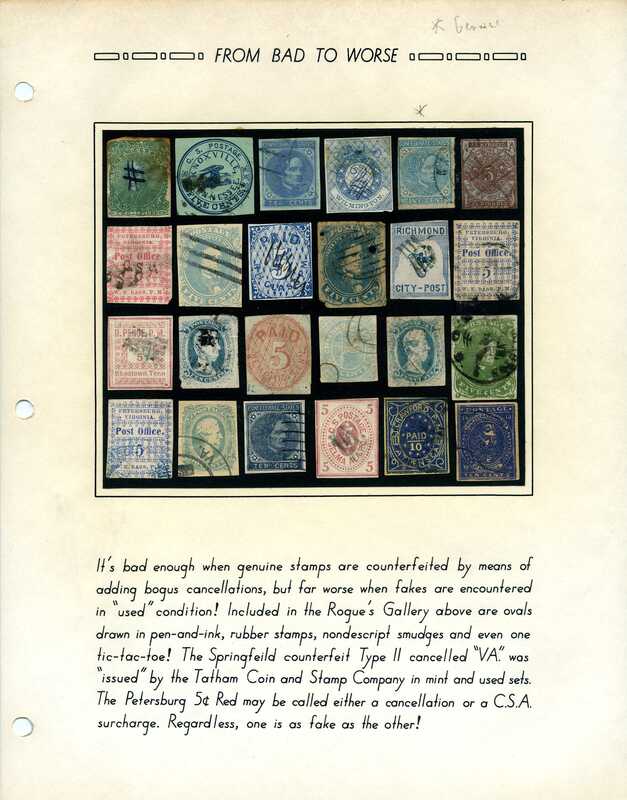 Addressed in more detail in "Trouble Spots" on this site plus the article in the next link. 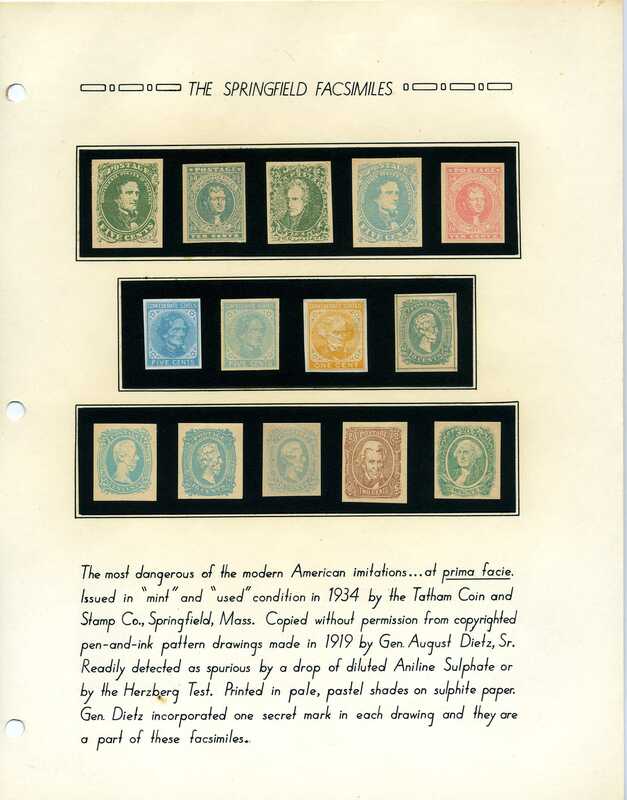 Springfield facsimiles - some of the most commonly seen baddies - often on eBay. 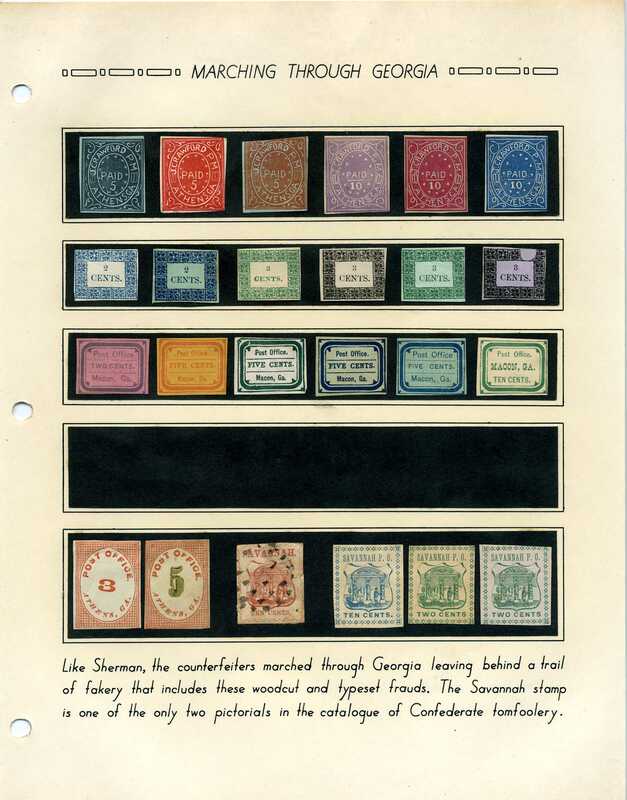 If you are reading these pages because you know nothing about stamps and want to find out what you have, please flip the stamp over and look at the back. 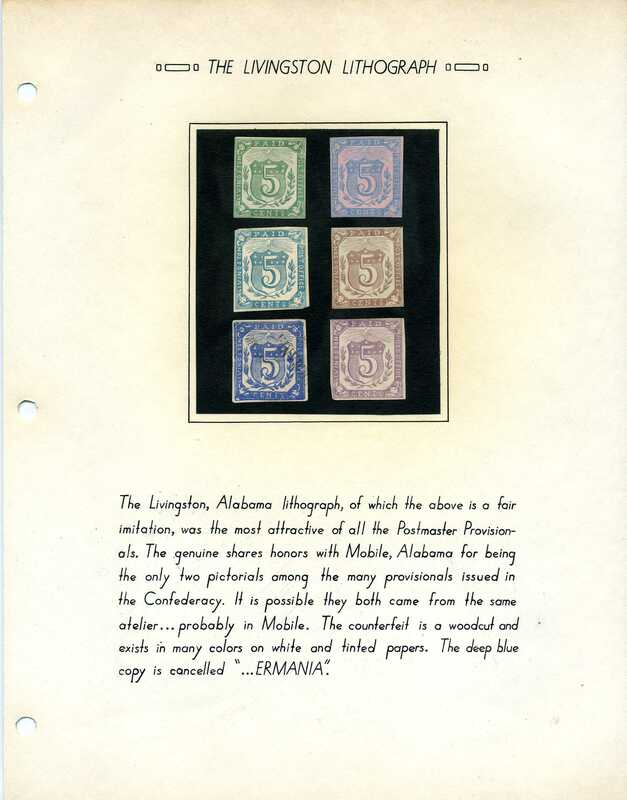 Often the word "FACSIMILE" or "REPRODUCTION":is found on the back in various ink colors.